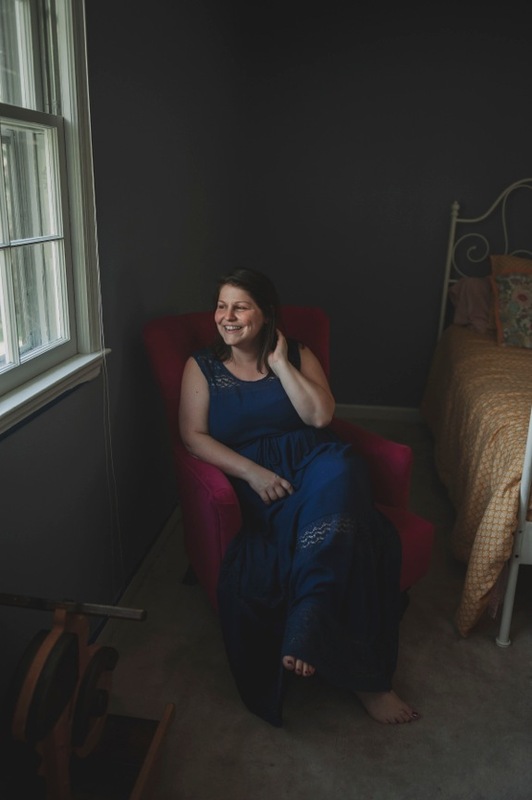 Vanessa Marshall has spent her life in and out of foster care, with only a vague recollection of the women that left her behind. When she receives a strange letter from her mother three weeks before her 18th birthday, Vanessa knows it’s the only shot she has at finding her real family. The letter instructs her to jump off the Swan Pier into the ocean at midnight under the next full moon. With the steadfast hope that her mother would be waiting for her, Vanessa jumps, only to find that she’s come up for air seventy years in the past. Journals written by women who took the same time-altering jump, help Vanessa realize that the mystery of her mother’s life spans generations and is far more complex than she could have ever dreamed. While living in 1949, Vanessa develops feelings for a boy despite the warnings from previous travelers not to fall in love. 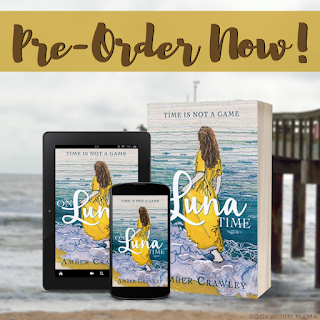 As she begins to unravel her mother’s web of secrets, Vanessa discovers that the truth is anything but easy, and the answers are not influenced by past, but have the power to alter her future forever. Are you ready for a new adventure? 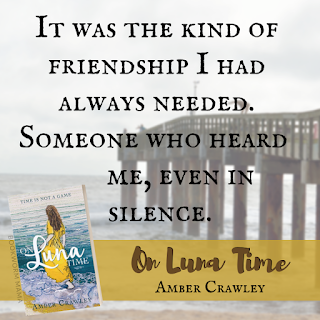 Then you are not going to want to miss out on debut author, Amber Crawley's release, On Luna Time. A time traveling story of identity, romance, and family. I was totally and completely blown away! Creative and unique, I have never read a story quite like this before. I was under Luna's spell from the very first chapter. The dynamics of the characters intertwined with the time-travel aspect make this story hard to put down. It has been a LONG time since I have read an entire book in 1 day...and 1 sitting. It.is.so.good!!!!! I laughed, I cried, laughed again, cried again....and left me holding my breath! Getting to spend time with Vanessa on Luna time, makes me want to go jump off the nearest pier at the next full moon. I can't wait to read the next part of the adventure since I have a million questions swirling around in my brain now. If you are a fan of historical romance with a dash of sci-fi, I HIGHLY recommend that you get your hands on this book as soon as you can! Releasing Feb 17th, you can pre-order now and enter the GIVEAWAYS below! I received a complimentary copy of On Luna Time from the author. I was not required to write a positive review. All opinions expressed are mine alone. 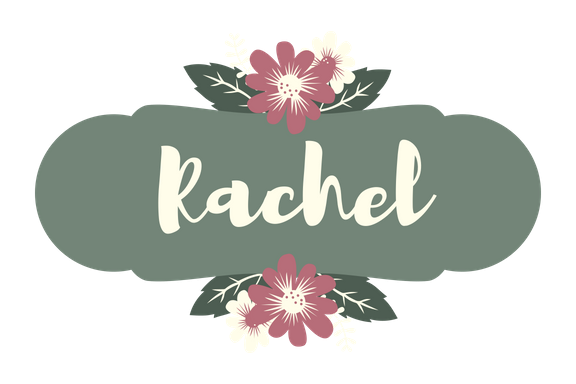 In my non-writing life, I’m a homeschooling mom of three, a wife, and an indie dyer of watercolor-inspired yarns in the Piedmont of North Carolina. In the midst of daily life and various hobbies that have come and gone, I’ve been writing. From the minute I knew how to put words into sentences, I’ve had a story to tell. After nearly a decade of hiding this passion, I'm ready to share my words with the world. But through it all, I'm still only tiptoeing. 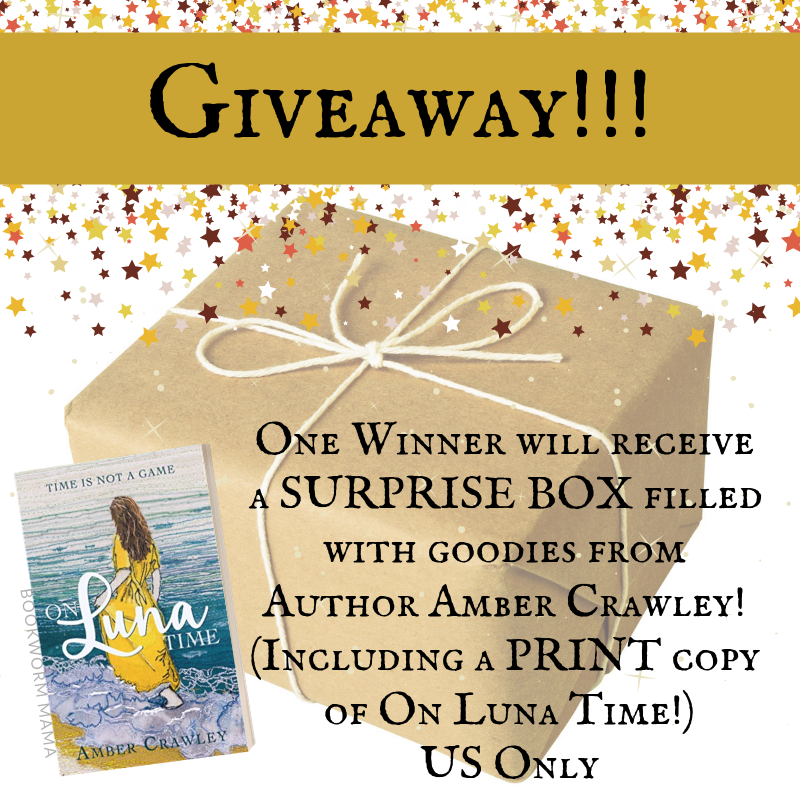 Amber Crawley and I are proud to offer TWO giveaways! 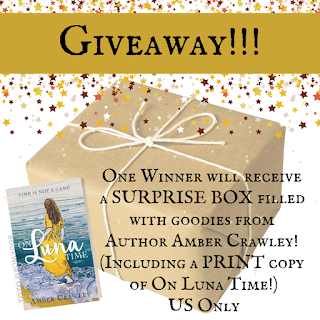 One: 1 (ONE) winner will receive a box of goodies from Amber Crawley, including a PRINT copy of On Luna Time. This is open to US mailing addresses only. Two: 1 (ONE) winner. INTERNATIONAL ONLY. Open to residents OUTSIDE the US. 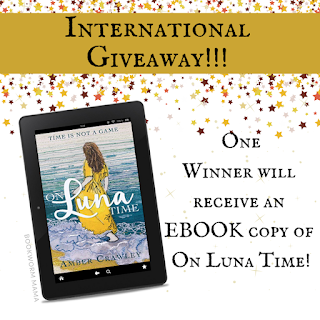 Prize will be 1 eBook copy of On Luna Time. Giveaway will be open 2/4/2019 - 2/11/2019 11:59pm EST. 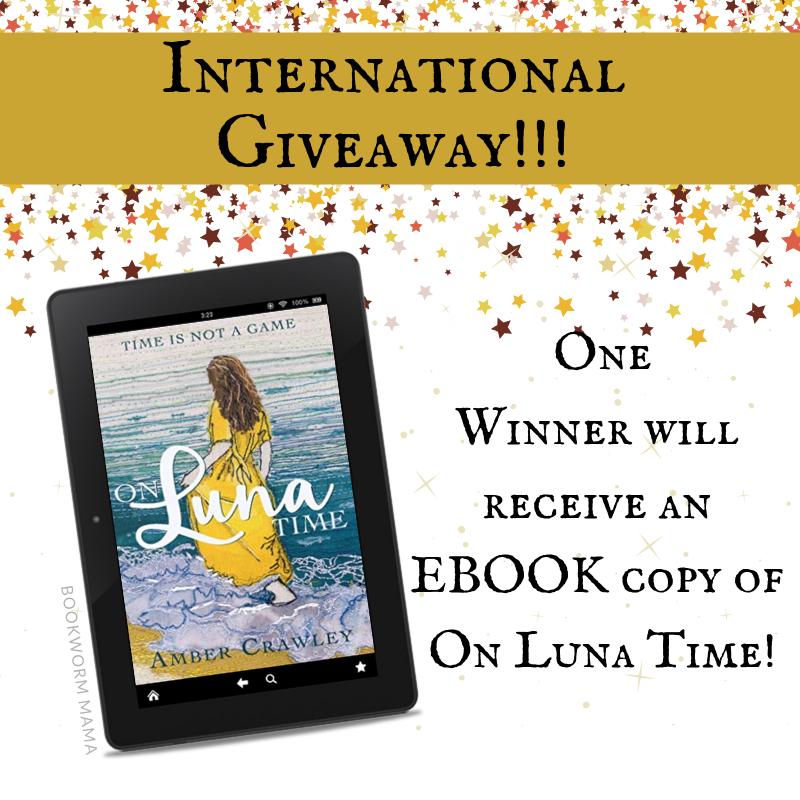 Both giveaways are sponsored by Bookworm Mama and Amber Crawley. Amber Crawley is the sole provider of the prizes. Void where prohibited. Please enter via the Rafflecopter forms below. 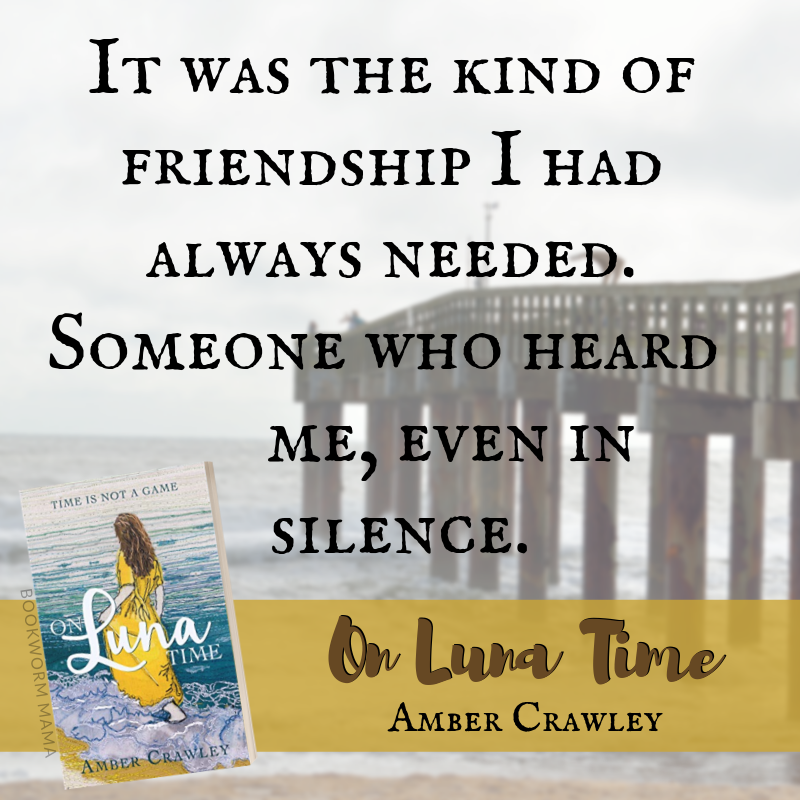 Thank you for your review on "ON LUNA TIME by Amber Crawley. Sounds like a fabulous book and one that I would greatly love having the opportunity to read. Sounds interesting and I love the cover! 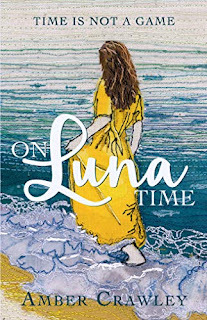 On Luna Time sounds like a super book! Can't say I've read one quite like it before so I am looking forward to it. This sounds so good! Would be honored to win! Oh, I love time traveling books and haven't read any in a while. This sounds intriguing. Thank you for the chance to win!